Our aim is the prevention of cruelty to animals and to provide a place of safety and care for all animals in distress. 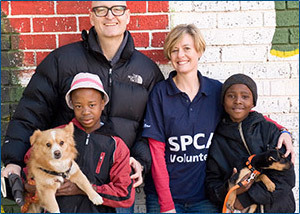 SPCA work encompasses all animals, including wildlife, equine and farm animals, marine life and animals used for experimentation. We are a non-profit organization not funded by government, and rely solely on the general public for financial support. 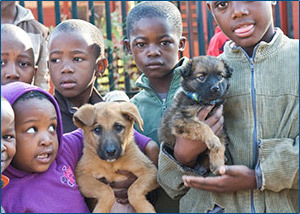 The Sandton SPCA is situated in 9th Street, Marlboro Gardens, Johannesburg. Click here for our full jurisdiction. Adopt a shelter pet and make a friend for life. Browse the current animals available for adoption, read more about our adoption procedure and send us a request. Your furkid is waiting! We need your help in order to continue to do the work we do. 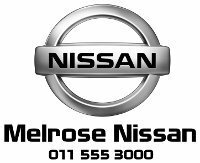 Add us as a MySchoolCard beneficiary or give of your time. There are many easy ways you can support our cause and make a difference. If you’re an animal lover, join our volunteer programme which includes dog walking & kitten cuddling at our pound. Or volunteer a special skill or take part in fundraising.